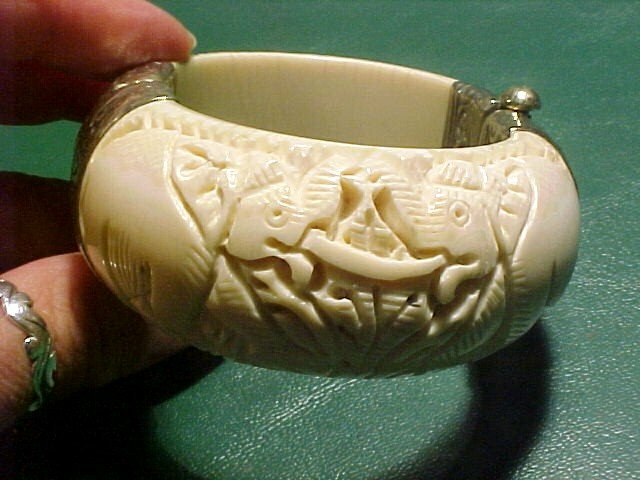 Deeply carved bone with ornate silver clasp and hinge. 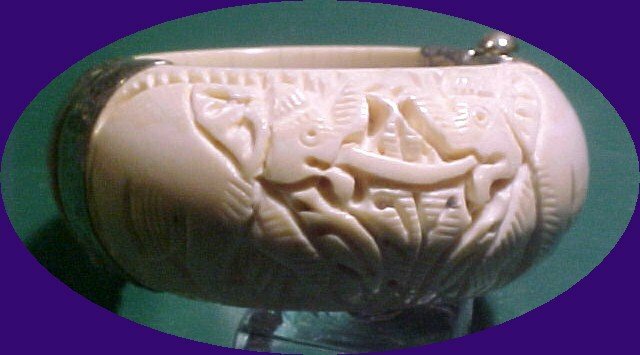 The carving is of elephants. 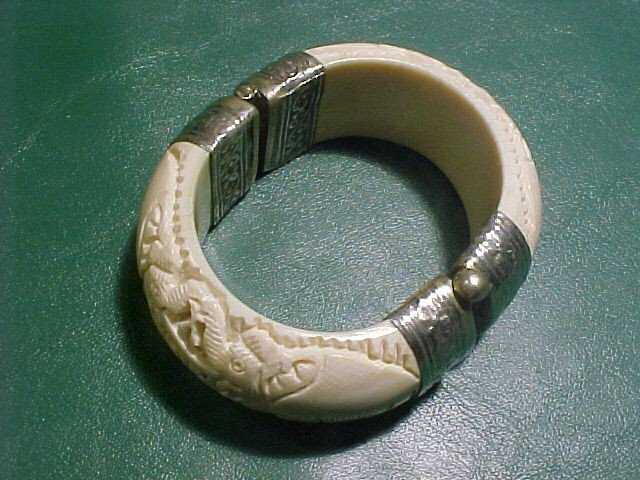 The bracelet is heavy weighing in at 106 grams. The inside opening measure 2 1/2" x 1 7/8". The silver is not marked. The piece has a bit of an aged patina. The condition is excellent. 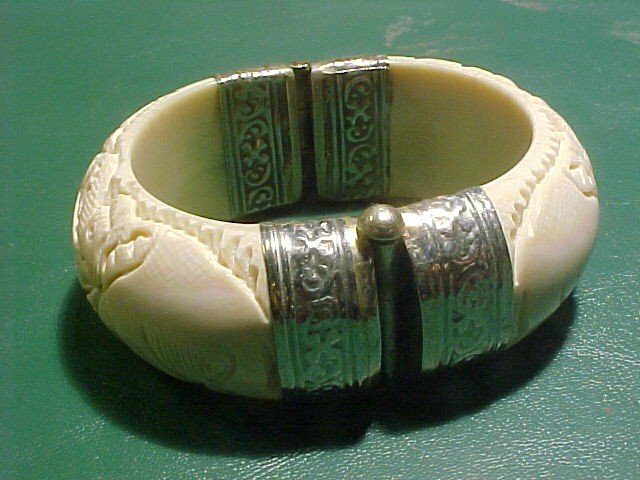 Items Similar To "Massive Ethnic Carved & Silver Hinged Bracelet"